Ayurveda and Yoga can help in lowering your blood pressure naturally and quickly, according to latest study. According to experts, some tweaks in diet, lifestyle and exercise can go a long way in managing blood pressure levels. In case you are a hypertension patient, with symptoms of high blood pressure, you should take measures to bring it down. The latest figures by the National Family Health Survey states that at least one in eight Indian suffers from high blood pressure in Indian. This lifestyle disease, also referred to as a ‘silent killer’ is rightly named so, as its symptoms can go unnoticed until it gets too late. Just as is the case with other lifestyle diseases, you need to make a few changes to your lifestyle to protect yourself from this disease. 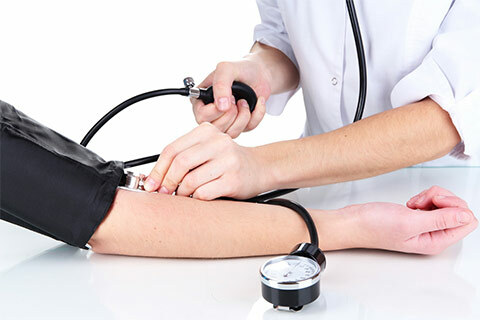 Experts suggest that it is possible to reduce high blood pressure naturally at home. Ayurveda has effective treatments for high blood pressure and its management. The Senior Director at Birla Ayurveda, Dr. Priyanka Sampat, suggests that Ayurvedic medicines like Sarpagandha, Jatamanasi and Amalaki can be helpful in high blood pressure regulation. Dry ginger would be a good option if the shoot up in blood pressure is due to untimely food or eating refrigerated food. Herbs such as Malabar Nut (vasa), green potato (Parol) and Silk Cotton Tree (Katankari) can help in combating high blood pressure if it is caused due to poor diet. In case of associated anxiety or stress, or acidic food intake, Shatavari, lotus and Sandalwood can help immensely. According to Dr. Sampat, Panchakarma (the five therapies) that helps in clearing body off toxins, can be of great help. Several psychological and somatic factors need to be taken into consideration when arriving at a treatment method for hypertension, said experts. Milk together with garlic, moringa (drumstick leaves) with honey is advised, similarly, a combination of gokshura, amla, arjuna bark powder decoction or milk preparation, Brahmi, Sarpagandha preparations and Giloy Shankapushpi are said to control blood pressure. Along with medications, diet is essential to reduce hypertension. Ayurvedic doctors advise patients to avoid excess spicy, sour and salty foods as it can elevate high body temperature, Similarly, ready-to-eat preparations, breads made of refined flour and pickles should be avoided. Untimely food habits, excessive eating after sunset, and eating refrigerated food items should be avoided. Include whole wheat, moong, fruits, ghee, garlic and milk into your diet. Consume only warm and fresh food and avoid over eating. Have an early dinner, and try and include sweet, bitter and astringent foods as they help in clearing pitta and reducing pitta impurities. It is best to adhere to fat and oil-free diet, as it may aggravate vata and kapha in the body. Drink sufficient water at specified intervals, include more greens in your diet, consume plenty of drumsticks, tomatoes, flaxseeds, carrots, watermelon, red cabbage, beetroot, apple and water melon. Some specific yoga postures can help you greatly in maintaining normal blood pressure levels. These include Pranayama, Anuloma Viloma, Shavasana, Veerabhadrasana, Vajrasana, and Bhujangasaa. Among these, Pranayama and Meditation play a major role in managing hypertension. Simple meditation techniques such as Kevala Kumbhaka, or breath awareness helps in reducing high BP. Make some lifestyle modifications for a healthy life and avoid hypertension. Among these are avoid staying up in the night, sleeping just after meals, bingeing, having late night meals, consumption of tobacco and alcohol, getting angry easily, and excessively exerting yourself. Finally, an inevitable part of ayurvedic treatments for any skin condition is daily and seasonal routines of managing hypertension, waking up before sunrise, drinking 4 glasses of water at room temperature, gargling with sesame oil, doing exercises and yoga in the morning and continuing with meditation.